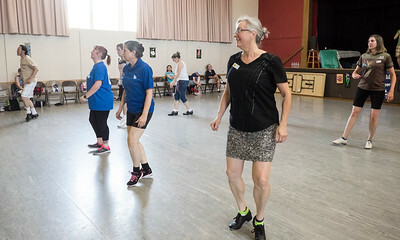 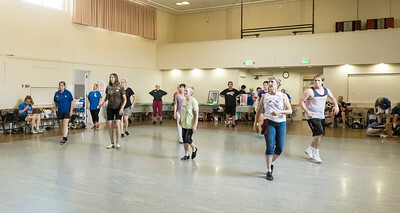 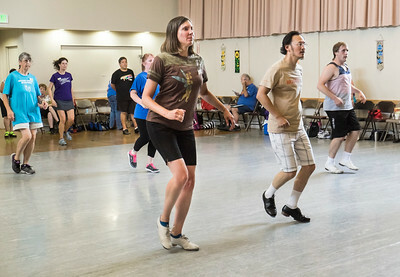 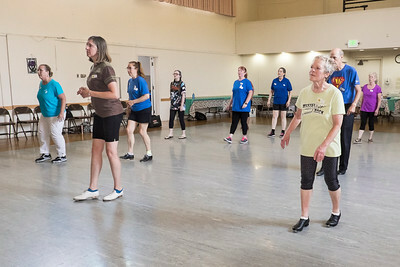 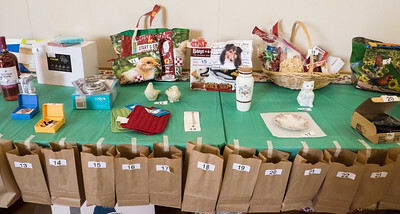 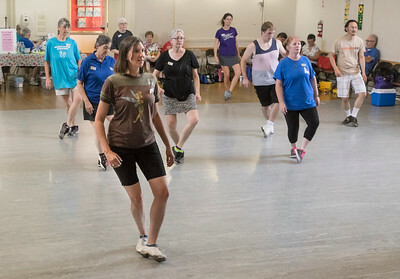 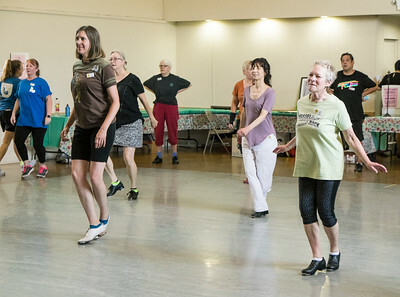 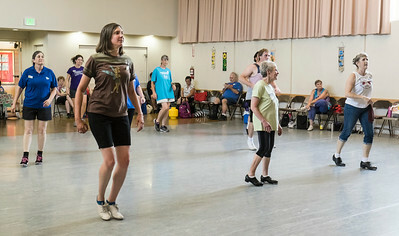 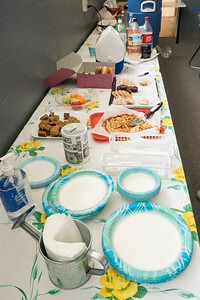 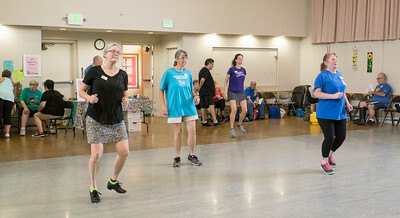 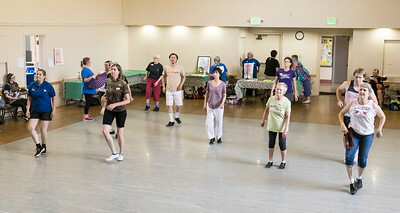 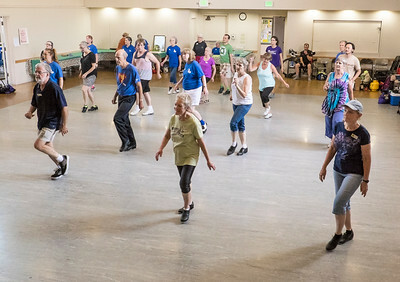 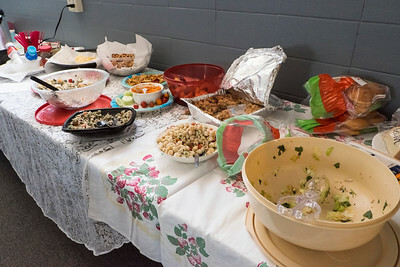 Blossom Hill Festival clogging workshop in Belmont, CA, July 2017. 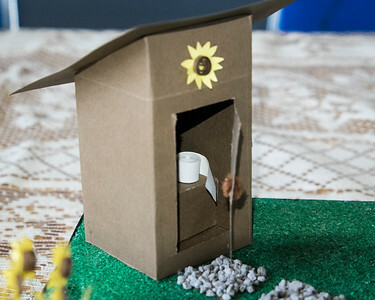 Tiny outhouse with toilet paper as part of a miniature garden made by Cindy for the table decorations at Blossom Hill Festival. 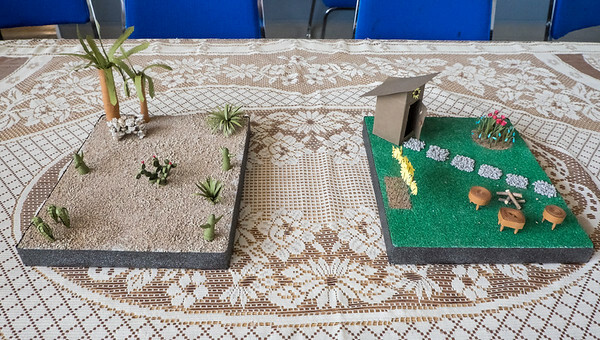 Miniature gardens made by Cindy for table decorations at Blossom Hill Festival. 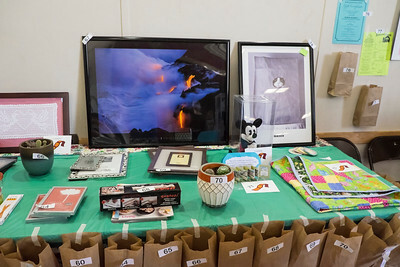 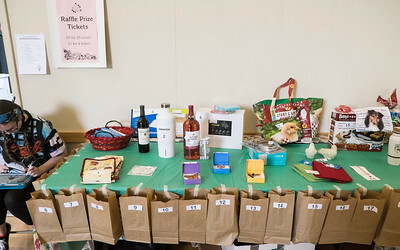 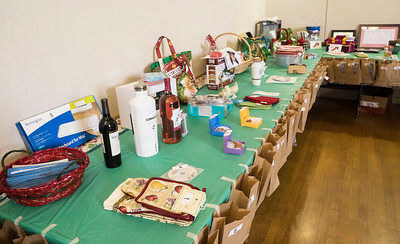 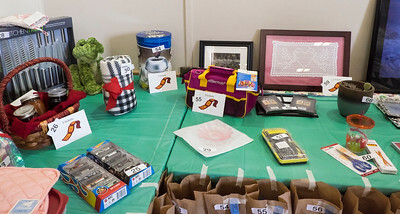 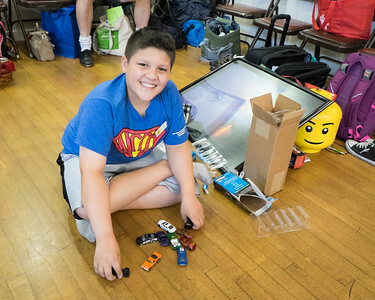 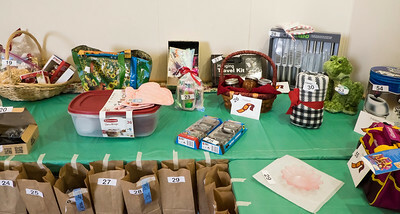 Chris and his raffle winnings at Blossom Hill Festival.